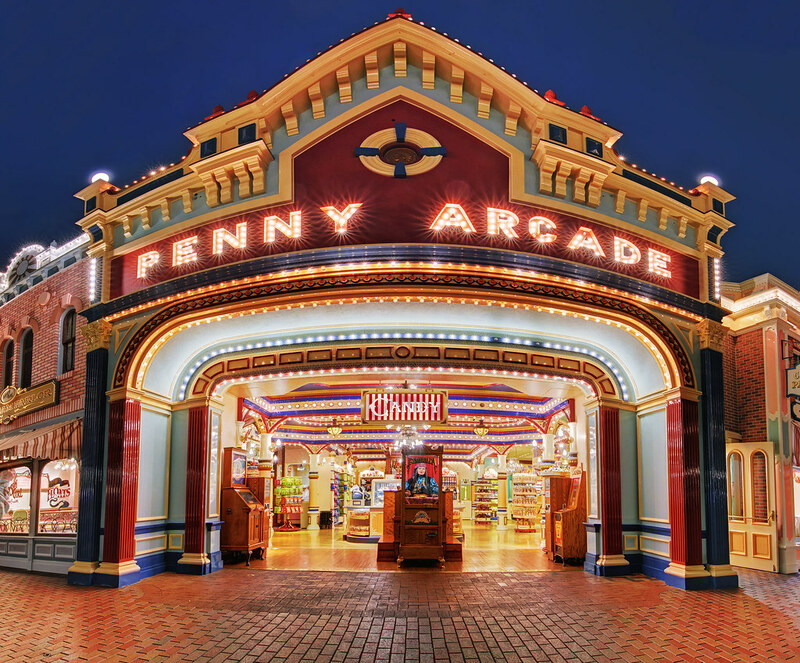 If you’re wondering why the Main Street Penny Arcade seems a bit rounder than you remember, it’s because this is actually a panorama. It was necessary to make it a pano in order to get a shot of the whole thing so close up. This entry was posted in Main Street USA and tagged Main Street USA, panorama, Penny Arcade. Bookmark the permalink.